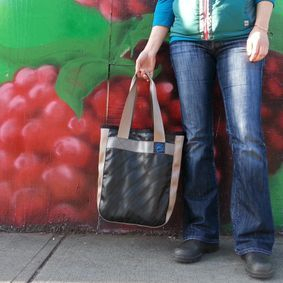 Urchin Designs owner, Clare Mackinnon, loves to re-use materials otherwise destined for the landfill. 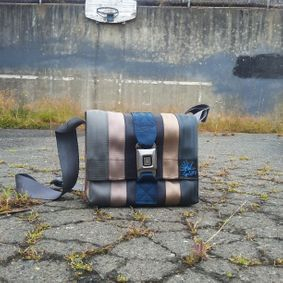 Her innovative and eye-catching designs are made with reclaimed seat belts, used bicycle inner tubes, scrap vinyl and upholstery material. Urchin products are eco-friendly, functional and designed for both men and women. You'll find everything from computer bags, hand bags and wallets to wrist bands, belts and bike accessories in her collection. Each Urchin item is handmade and unique--no one else will ever have the same wallet or purse! Born and raised on Vancouver Island, Clare MacKinnon is a lifelong artist, designer, and outdoor enthusiast. 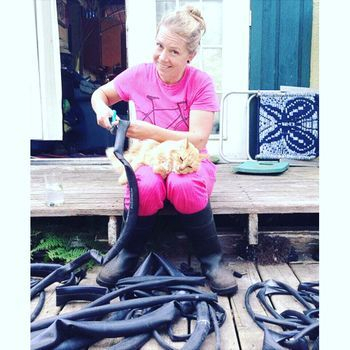 In addition to creating Urchin products, she is an avid photographer, organic gardener, and the proud owner of five cats: Ruban, Mags, Smelly,Cookie and Ozzy. 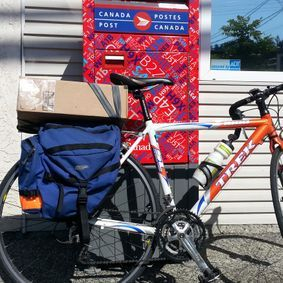 A passionate cyclist, Clare cycled across Canada during the summer of 2010 with her sister and indulges in at least one cycle tour per year. 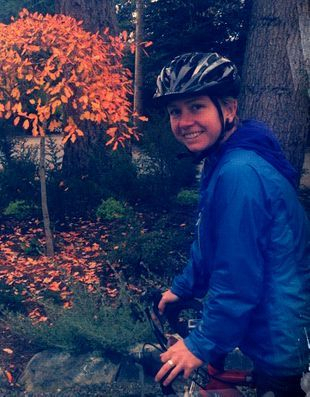 Urchin captures Clare's adventurous spirit and her love of sustainable living.